Downers Grove Police Chief Robert A. Porter announced today that a suspect has been arrested in connection with a residential burglary that occurred on June 28, 2012. On June 28, 2012, officers responded to the 4900 block of Saratoga for a report of a burglary in progress. The resident indicated that she had walked in her apartment and observed a man coming out of her bedroom. The man ran from the apartment as she called the police. DNA recovered from the apartment identified Steven Mantucca as a suspect. 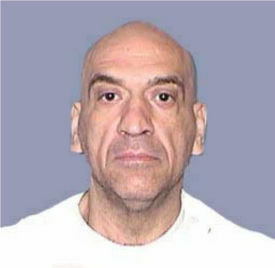 Steven Mantucca (pictured) is currently being held in Western Correctional Center in Mt. Sterling, IL on unrelated charges. He has been charged with felony Residential Burglary in connection with the Downers Grove incident. Members of the public are reminded that these complaints contain only charges and are not proof of guilt. The arrested person is presumed innocent and is entitled to a fair trial in which it is the government's burden to prove his or her guilt beyond a reasonable doubt.